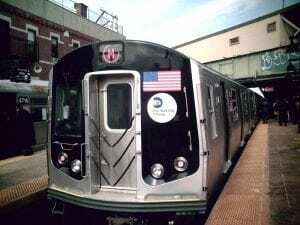 Brooklyn, NY (March 24, 2019) – Around 2:00 a.m. today, March 24th, police responded to the scene of a train accident that led to serious injuries in one party. The pedestrian who was struck in this horrific accident was identified by police as a 30-year-old male. His name has not yet been released. The incident, which took place early this morning, happened in the area of the Newkirk Avenue station. The victim lost his leg due to the force of the accident. He was transported to the Kings County Hospital in serious but stable condition. First and foremost, we would like to extend our sincerest sympathies to the party who sustained severe losses in this horrific accident. Train accidents are among some of the most devastating accidents that take place in New York due to the fact that they have the ability to cause excessive amounts of pain and damage to a pedestrian. If you have been injured in one of these accidents, call an experienced car accident lawyer that you can trust. At Hach & Rose, our accident attorneys understand how easy it is for someone to fall victim of a serious accident. You might be feeling scared and overwhelmed by your accident and have many questions for an attorney who is able to assist you. This can be a difficult time in your life but you are not alone. Let us assist you and give us a call today at 212-779-0057.